Jake: My name’s Jake, I’m with Cloud Potential and Cloud Wise Academy, I’m sitting here with Tony and Todd from Shasta EDC and they’re going to explain a couple different things that are going on this month in the North State. The first thing we are going to talk about is North State Giving Tuesday which is coming up very soon. What is North State Giving Tuesday? How long has it been around? Who’s involved and who benefits from Giving Tuesday? Tony: The Shasta Regional Community Foundation started Giving Tuesday a number of years ago, and I believe last year there were actually 128 nonprofits that participated. And the community’s generosity led to donations of over a million dollars for those companies. And it makes a big difference to a lot of those nonprofits. The nonprofits range from helping children, women, battered women, to things like helping Indian and Native American tribes, healthcare in rural areas. 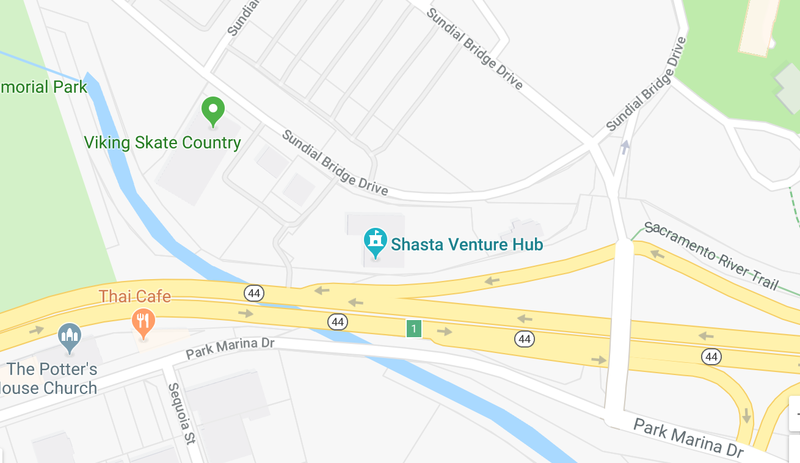 Jake: It is North State Giving Tuesday, so what is the scope, does that mean the city of Redding, does it mean Shasta County? Tony: It’s actually a number of counties, North State Counties surrounding our area but the predominance is in our area here, the organizations that are funded. When is Giving Tuesday? When does it start, when does it end, when do people have the opportunity to get involved. Tony: Okay, so Giving Tuesday, the actual date of it is Tuesday, November 27th, however, since not everybody is always around on that day, they started actually creating the ability to schedule donations. So starting on Tuesday, November 13th which just passed, you can actually get on the website and schedule your donation. And it will still post and be credited as a Giving Tuesday donation. Jake: Can a nonprofit who wants to benefit still get involved? How do they get involved or has that time passed already? Tony: Yeah, it passed, it actually starts back in August. Shasta Community, Regional Community Foundation, wants to make sure that they vet the organizations and that there’s enough information up on the website so that people can truly understand the kind of programs that are delivered, what kind of value those organizations deliver to the organization so each company is basically vetted, you have to provide financial statements, you have to provide proof of programs and things like that. Jake: So, anyone who maybe wanted to benefit, they’d have to look for something next year. Jake: Okay, that’s fair. And is there anything else that, any other things about Giving Tuesday you want people to know at this time? Tony: Absolutely, this is our first time participating in Giving Tuesday so we’re very excited about that and the EDC is funded by municipalities like the city of Redding, the city of Shasta Lake and the county, and about 30 private investors. And we are very appreciative to have that support. They are, you know, larger investments in what we do but ultimately, and it’s really a small part of the community and the work that we do at the EDC, you know we’re working on in helping to create jobs, recruit companies, help current companies expand, add air service through our area, we do a lot of work in Workforce Development. So the whole community benefits, the whole county benefits and now for the first time, through this Giving Tuesday platform, we’re giving everybody the opportunity to make a difference through their contribution. So we’re excited by that. Jake: And as an individual or maybe as a business owner, where do I need to go online to be able to give myself to some of these organizations? Yeah, so if you go to www.northstategives.org that’s the overall site to get to any of the nonprofits that you want to give to. If you add a backslash Shasta EDC after dot org, you will go specifically to our site on that platform. You’ll be able to see all of our programs, get a little bit more about what we do and who we are and then you’ll have the opportunity to donate there at that site. Jake: Excellent. Okay. Awesome. Well, is there anything else that I missed? Tony: No, all I can is we’re excited to give everybody the opportunity and we are looking forward to doing more things in the community. We have more ideas then we have money. We believe that we deliver a lot of value in the community and there’s a lot more we can do so we’re excited about Giving Tuesday. Jake: Awesome, thanks, Tony. Todd, you’re going to talk about something really exciting too. Startup Weekend just happened last weekend and so Todd, tell us how that went. Todd: Yes. Yeah, so last time we spoke, we talked about leading up to Startup Weekend, how exciting it was, how important it was for our startup communities so we just had it November 9th through the 11th. Like last year, we actually had the exact amount of participants. We had 80 people pick, well we didn’t pick, participate, we had 40 people pitch an idea on Friday night at 7:30 PM. Out of that, we had nine teams formed and they went through the weekend and worked on their ideas and pitched on Sunday night at 5:00 to our panel of judges, which included our President here, Tony Giovaniello. And this year, since I have planned this for two years but never participated, I felt like I needed to try it out myself because experience is the best teacher. So I pitched my idea Friday night, I was fortunate enough to have a team form around me and I actually went on and succeeded and won the weekend with my idea, The Minimalist, which you can actually check out at gominimal.co. It’s kind of in demo mode now but it is a working platform to connect people. It’s the Airbnb of stuff, so it connects people who have stuff with people who need stuff. Just like Airbnb so if you need something like a Kitchen Aid Stand Mixer but you don’t want to go out and buy it for three to four hundred dollars, it can connect you with somebody in the community that would be willing to let you borrow it for a small fee and we collect a percentage of that fee. Jake: Okay. So it’s like, it’s the way Airbnb is to hotels you are to Rent-A-Center. Todd: Exactly. Startup Weekend is not about actually building a business but really working through the process. But, there’s a new generation of people that are our age that doesn’t want to own as much stuff. Maybe they live in smaller corridors and they want to have these experiences without the investment into all this stuff so they can just borrow when they need it or if they’re traveling, they can borrow what they need when traveling. And that’s one of the big things that we think can help this idea actually move forward. Jake: Awesome. Well, congratulations. That’s an awesome idea. Tony: Well since he mentioned that I was a judge, I have to make a comment here. So, as a judge, we look at whether or not they created a minimal viable product that they can actually show. We look to see if they’ve been able to validate their idea and see if people would actually buy the service or product that they’re gonna deliver. And then they have to have financials that makes sense. And I can tell you that since Todd and I work together, his team had to do twice as well as anyone else for me to vote otherwise I would’ve had to refuse myself. Jake: All right. Todd, you’ve spent a lot of time in this community, you’re well in dept to come up with a good scalable business. Todd: I see a lot of people ideas every single week and one of the things that we say at Startup Weekend and within the Startup Redding Community, is ideas really are, we’re a little bit crude. So, we say ideas are somewhat worthless, it’s really all about execution. It’s really all about taking that idea and turning it into something real. Which we are able to do in a weekend and talk to a lot of people, and we had a lot of fun. I do want to mention the top two other folks who joined us on the stage on Sunday night. Which, the number two idea was a company called Sparkle and Spice, and they want to create a donut food truck here in Redding, which is something that we are severely lacking according to the research and they make great donuts. And they want to do that in an Airstream. They did a great job researching that. Build to order. Gourmet. Fresh gourmet donuts. And the third idea, which solves a personal pain point that I have as well is called Nanny Now. And it’s a platform to let you put in when you need a sitter, a babysitter, and it will connect you with your preferred babysitters. Basically, send them all out a message to see who might be available to babysit for you. And they created a really, a cool platform over the course of the weekend to make that process easier for people. Because you spend a lot of time trying to find a babysitter, if your babysitter’s not available, you kind of go down your list of people, sometimes it takes a while to hear back from these people that babysit for you. So if there’s an easier way to do that, that’s what they tried to accomplish. We should mention that the other six teams that competed in addition to the three that you know, rose to the top if you would, there were many, there were good ideas and they had different stages of development so, you know, in a week or two, some of those other companies may have risen to the top as well. And a lot of the teams that actually will go on from Startup Weekend aren’t always necessarily the winners, they’re just people that are very passionate about their idea, they’re able to learn a lot over the course of the weekend, which is really the main goal. And they were able to apply what they learned in actually building out that business. Todd: So, there were a lot of good ideas; Ready to Launch, Captivated, Timber Coffee, you don’t get a lot from these titles but yeah, it was a lot of fun and some incredible ideas presented. Jake: Well, I think I might have voted for the donuts myself but that’s just my personal choice, I just like donuts. Todd: Yeah, they’re gonna try to make a run at it too so we might see them in a Coffee Shop near here very soon. I can tell you that they provided samples to the judging panel and while we went to deliberate, the donuts were all gone. It was a great weekend. All right, well thank you guys so much for letting me kind of pick your brains about what’s going on this month. I appreciate it and we’ll talk to you guys next month.